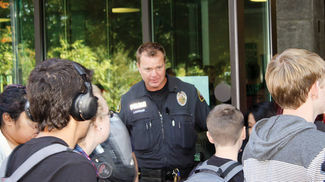 Marysville School Resource Officer Chris Sutherland holds a door open for students at Marysville Getchell High School during a passing period on Oct. 1. The Marysville Police Department will be able to more than double the number of officers that it assigns to local schools because of a recently received federal grant. The federal Department of Justice’s Community Oriented Policing Services grant provided the city with $375,000 to fund three new full-time School Resource Officers (SROs). Marysville Mayor Jon Nehring said that they had the idea for a “youth services unit” about three years ago that would help create “a strong presence not only in the schools, but also just where youth are hanging out after school as well,” he said. The police department currently employs two SROs and together they have responded to more than 7,600 calls ranging from assault, gang activity, theft and threats in the last five years. “Everyone is focused on the same goal, and that’s providing a safe environment, so the more officers you have that just stay at their school, you’re going to have that presence” said current Marysville SRO Jeremy Wood. The two current SROs in Marysville have to cover incidents across all the district’s schools, so they expect the extra three officers to help. “It’s going to be an awesome help,” said Marysville SRO Chris Sutherland. Currently the officers have to move between the schools frequently, he said. “Once something happens in a middle school we have to leave our high school to go there. Usually, when we leave we’ll get a call to come back to the high school that’s like ‘hey, when are you going to be back, because we have this issue going on,'” he said. “With only two SROs it’s going to be hard to cover all those schools and you get better coverage if you have more, but they will also be able to respond in other areas more as well,” said Nehring. The job of the SROs involves more than just responding to incidents though. “They’re utilized by family and students for a variety of reasons, and in most cases, because of the relationships they’re building, it’s done in a very positive and helpful manner,” said Shawn Stevenson, principal of Marysville Getchell Academy of Construction and Engineering. The officers also help build relationships with the students and the schools, said Stevenson. “I think all of the SROs I’ve worked with in the last eight to 10 years have done a tremendous job helping to build relationships and allowing us to build community between our schools,” he said. Wood said that building relationships with the students helps them view police officers in a new light as well. “From my point of view, growing up and going through public high school, I didn’t get to build a relationship with the police, so I relied on the media or maybe that traffic stop where it was more of a negative interaction. So I think it’s important to show the kids, one: you’re human, and two: you’re here to support them and not just come down on them when things aren’t going well,” he said. Getting to know officers also helps kids realize that they can go to the police when trouble comes up. “When youth have relationships with the police they are more likely to approach them when they need help,” said Nehring. “They’re not just seen as someone who comes by when something’s gone wrong,” said Stevenson. Sutherland said it help kids move past their preconceived notions as well. “They’ll be more willing to talk to us. A lot of times, they don’t want to talk to us because of whatever their beliefs, what they were raised with, or what they see on the media. We’re allowed to show them ‘hey, don’t be afraid,'” he said. Nehring wanted to thank the area’s federal representatives like Sen. Maria Cantwell, Sen. Patty Murray and Rep. Rick Larsen, who all “really lobbied hard” for the federal funding for the city. WASHINGTON, D.C. (link)—Today,Reps. Rick Larsen, WA-02, Mike Coffman, CO-06, and Suzan DelBene, WA-01, introduced a bill to help pay for improved security measures in schools, such as training for staff and students, and deterrents like lighting and locks. The School Safety Act of 2015 would reauthorize the Secure Our Schools program, which provides matching grants to local, state and tribal governments to meet schools’ individual security needs. “Schools must be a place where our students feel safe. I introduced this bill to help schools and communities assess and meet their unique safety needs. Sadly our country has not seen the end of violent crimes. Congress must do much more to make our schools and communities safer and shrink the cycle of violence. This bill helps empower schools to focus on what they do best: teaching our students and preparing them for their futures,” Larsen said. “School violence has hit my district and Colorado hard and I am committed to finding ways to make our schools safer. This bipartisan, common sense legislation will help fund important school safety programs across the country. From education to improved technology, our schools can be made safer through a comprehensive approach to dealing with school violence. I urge my colleagues on both sides of the aisle to stand with me in fighting to make our schools a safe place to learn,” Coffman said. “I’m strongly committed to ensuring the safety and security of our students. While there is no one law that will prevent every single instance of senseless violence, like last year’s tragic shooting at Marysville-Pilchuck High School, we can and must do more. The School Safety and Security Act is an important first step and I’m honored to help introduce it. This bipartisan legislation will provide critical resources to keep our schools safe, ensure teachers and administrators are adequately trained in security procedures, and improve notification and response technologies in schools across the country,” DelBene said. Violence in schools has continued at a steady pace in recent years, with tragic shootings at Marysville-Pilchuck High School in Marysville, Wash., in October 2014, and at Arapahoe High School in Centennial, Colo., in December 2013. The Washington State School Directors’ Association has endorsed the bill. The Secure Our Schools program takes a comprehensive approach to preventing violence in schools based on schools’ unique needs. Matching funds can pay for physical deterrents, security assessments, security training and coordination with local law enforcement. The Act reauthorizes the program and updates it to allow funding to cover emergency communications systems with local law enforcement. WASHINGTON, D.C. – Assistant Secretary – Indian Affairs Kevin K. Washburn today announced that grants ranging from $25,000 to $150,000 per fiscal year are available for federally recognized tribes and their education departments. The grants are designed to help tribes assume control of Bureau of Indian Education (BIE)-funded schools in their communities, promote tribal education capacity, and provide academically rigorous and culturally appropriate education to Indian students on their reservations and trust lands. Eligible tribal governments may apply for these grants by responding to the Request for Proposals that the BIE published on May 15, 2015, in the Federal Register. 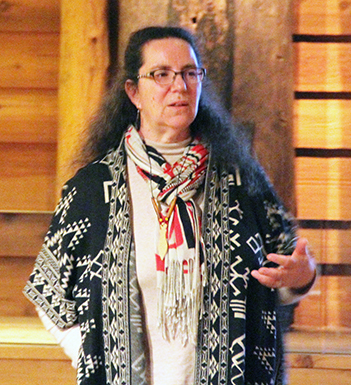 The Blueprint for Reform, issued in June 2014 following consultation with tribal leaders, is an initiative of the White House Council on Native American Affairs, chaired by Secretary Jewell. President Obama established the Council as part of his commitment to engage in a true and lasting government-to-government relationship with federally recognized tribes in a more coordinated and effective manner, including promoting and sustaining prosperous and resilient tribal communities. Jewell then issued a Secretarial Order to begin restructuring BIE from solely a provider of education to a capacity-builder and education service-provider to tribes. The goal of this transformation is to give tribes the ability themselves to provide an academically rigorous and culturally appropriate education to their students, according to their needs. The Blueprint made several recommendations regarding the BIE’s budget. Interior should invest in the school system’s infrastructure, including new school construction, and align its budget to support tribal self-determination by requesting and increasing tribal grant and Tribal Grant Support Costs for tribally controlled grant schools. Under the solicitation announced today, grants will range from $25,000 to $150,000 per fiscal year depending on the project, number of educational programs impacted, project design, and expected outcomes. Subject to the availability of appropriated funds, grants will be provided for three years and, depending on performance, may be renewed for additional two-year terms. · To provide for the development of coordinated educational programs on reservations and on former reservations in Oklahoma by encouraging tribal administrative support of all BIE-funded educational programs, as well as encouraging tribal cooperation and coordination with entities carrying out all educational programs receiving financial support from other federal agencies, state agencies or private entities. · Serves three or more BIE-funded schools (less priority will be given if the applicant has less than three schools, but with at least one BIE-funded school). · Provides coordinating services and technical assistance to all relevant BIE-funded schools. o The assumption to occur over the term of the grant, unless mutually agreeable to the tribal governing body and the Assistant Secretary – Indian Affairs, the period in which such assumption is to occur may be modified, reduced or extended after the initial year of the grant. The BIE will assist tribes in the development and operation of TEDs for the purpose of planning and coordinating all educational programs of the tribe. Each proposal must include a project narrative, a budget narrative, a work plan outline, and a project coordinator to serve as the point of contact for the program. The project coordinator is ultimately responsible for ensuring that the TED fulfills the obligations of its grant. The BIE will provide pre-grant application training at several sites to support tribes and TEDs in applying for grants. Details on location and times will be made available here. The BIE oversees 183 elementary and secondary schools, located on 64 reservations in 23 states, serving more than 48,000 students. Of these, 59 are BIE-operated and 124 are tribally operated under Indian Self Determination and Education Assistance Act contracts or Tribally Controlled Schools Act grants. BIE also funds or operates off-reservation boarding schools and peripheral dormitories near reservations for students attending public schools. The Washington State legislature has introduced a bill requiring Northwest tribal history, culture, and government to be taught in the common schools. Washington SB 5433 is an amendment to the 2005 House Bill 1495. H.B. 1495 “encouraged” Washington State school districts to teach Northwest tribal history, culture, and government. The Since Time Immemorial tribalsovereignty curriculum (STI) grew out of H.B. 1495 and was developed in partnership with the 29 tribes in WA State and the State’s Office of Native Education. Since its passage, only two school districts in the state have adopted STI as core, or mandated, curriculum. The Marysville school district located just north of Seattle and whose school boundaries include the Tulalip tribes became the most recent to do so. State law makers are now seeking to have the curriculum required in the State’s schools with the introduction of S.B. 5433. If passed, Washington State would become the second state to mandate the teaching of tribal sovereignty curriculum. Montana is currently the only state to mandate Indian education for all state schools when it passed House Bill 528— the Indian Education for All Act, in 1999. 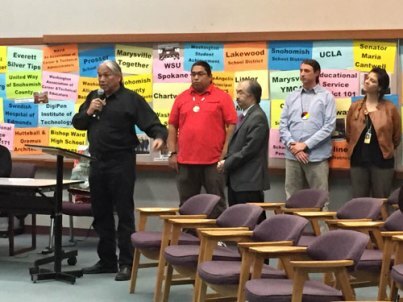 Matt Remle (Lakota) works for the Office of Indian Education in the Marysville/Tulalip school district and was on the curriculum committee that helped pass the districts requirement to teach the Since Time Immemorial tribal sovereignty curriculum in the Marysville schools. In collaboration with the Washington Alliance for Better Schools (WABS), the Marysville School District has been awarded a 21st Century Community Learning Center Grant to fund after-school and summer programs for Quil Ceda Tulalip and Liberty Elementary schools. The grant, amounting to $1.3 million, will support academics and enrichment activities for 50 students at each school for the next five years. WABS, a coalition of 12 regional school districts, and the district partnered with the Marysville Public Library, YMCA Snohomish County (Marysville Branch), Pacific Education Institute, the University of Washington Institute for Science and the Geo-Literacy Alliance of Washington State. Members of this partnership worked together to develop the grant proposal and will provide services for students and families enrolled in the program. Both schools qualified for the grant due to the high rate of students who receive free and/or reduced lunch. The grant will help support a significant segment of the student population who are not meeting math or reading standards and will fund teachers and coordinators to run the programs at both schools. The program is expected to start in mid to late fall. 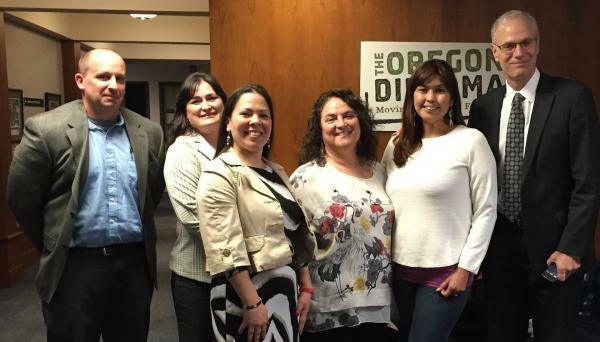 “We are very thankful for this partnership, the grant, and are excited about the opportunities that it will provide for our students at Quil Ceda Tulalip and Liberty Elementary schools” shared Dr. Kyle Kinoshita, Executive Director of Learning and Teaching, at a recent school board meeting. For more information about the grant, please contact Dr. Kyle Kinoshita, 360-653-0884 or email Kyle_Kinoshita@msvl.k12.wa.us. A new draft report finds that Washington schools face threats from nine different kinds of natural hazards. The Oso landslide, with 41 dead and two still missing, could be the the third-worst natural disaster in Washington history after the Stevens Pass Avalanche of 1910 and the eruption of Mount St. Helens in 1980. But what if there had been a school in the path of the slide? The death toll could have been much higher. However, the report finds another 28 Washington schools have a steep slope with a “high” risk of sliding in the immediate vicinity. And dozens more K-12 buildings are close to hills with a “low” or “moderate” risk of failing. To that end, OSPI has partnered with 28 school districts in a pilot project to help them create their own hazard mitigation plans. Dengel gives the example of the Ocosta School District on the Washington coast where plans are underway to construct a tsunami safe haven. In the case of landslides, Dengel says districts may want to have a geotechnical engineer do a formal on-site assessment of the slide risk. But it might not even take that to rule out a threat. “I’m pretty shocked,” says Holmes Elementary principal Steve Barnes. Barnes says his school is about three blocks from the Spokane River and there is a steep slope there. But if the hillside were to give way, the debris field would flow north away from the school. So how did Holmes Elementary end up on the list? Because the list was created using Geographic Information Systems (GIS) mapping, not actual site visits. Washington has 295 school districts with more than 2,400 campuses and more than 1 million students, according to the draft report. Dengel, the report’s co-author, says in an average-sized school district with 30 school buildings, usually only one or two would be at high risk for some sort of natural disaster. 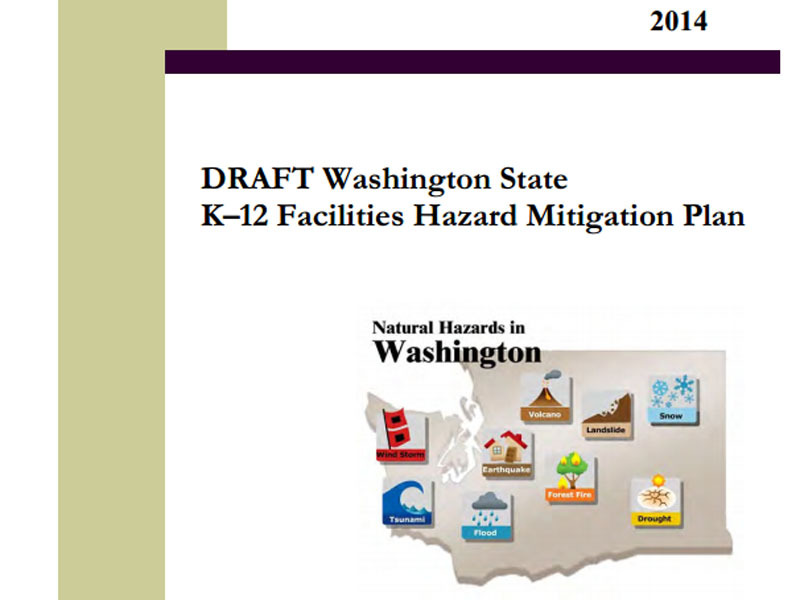 The draft report is titled “Washington State K-12 Facilities Hazard Mitigation Plan.” It’s the first of its kind in the nation and was made possible by a 2012 grant from the Federal Emergency Management Agency (FEMA). OSPI will accept public comments on the draft until July 25. A final report is due out this fall. [Olympia – Jan. 27, 2014] – This week is School Choice Week in Washington and across the country. More than 55 events are planned across the Evergreen State, in addition to 5,500 events nationwide. The Week, which is the nation’s largest-ever celebration of educational opportunity, gives students, parents, and teachers in Washington a chance to raise awareness of the different types of educational options available to families in advance of the 2014-2015 school year. Events across the state will include rallies, school fairs, roundtable discussions, open houses, and parent information sessions. National School Choice Week spotlights all types of education options for families – including traditional public schools, public magnet schools, charter schools, private schools, online learning and homeschooling. In addition to raising awareness of school choice options in Washington, the Week also provides students, parents and teachers with an opportunity to call on leaders in Olympia to expand access to high-quality education environments for children. The Week officially kicked off at a major rally Saturday night in Houston, Texas. Today, students wearing National School Choice Week’s signature yellow scarves will ring the opening bell of the New York Stock Exchange. OLYMPIA – What goes on each day inside thousands of public schools is a vexing question Washington lawmakers want to answer. For the second year in a row, there’s an effort to find out how teachers, administrators and staff spend their time and use what is learned to guide future decisions by the Legislature. The Senate education committee held a hearing Wednesday on Senate Bill 6064 to compile data on how each of the state’s 295 districts defines and uses school time. He deflected concerns that lawmakers might use the information to impose new mandates on public schools. “At the end of the day, if you’re a high-performing school, you’ll keep on doing what you’re doing,” he said. Most speakers at the hearing welcomed such an analysis because they are convinced it will illuminate the dedication of school employees. “Bring it on. Find out what’s really going on in our schools,” said Jim Kowalkowski, superintendent of the Davenport School District, near Spokane. A year ago, lawmakers passed and Gov. Jay Inslee signed a nearly identical bill. It requested the Joint Legislative Audit Review Committee carry out the work but it couldn’t. This time, they are asking the Washington Institute of Public Policy to undertake the task. The bill seeks information on how districts determine classroom and non-classroom time as well as instructional and non-instructional time. They want researchers to see if the use of time is spelled out in collective bargaining agreements. The report would be due Dec. 1, 2015, and cost an estimated $137,000. Meanwhile, lawmakers did include $25,000 in the budget for Central Washington University to begin gathering data on what a typical work day looks like for a public school teacher. Sen. John McCoy, D-Tulalip, then a representative, argued for the money. At the time he said he had tired of the back-and-forth between reformers convinced teachers spend too little time teaching and the teachers contending they can’t spend as much time as they want because of a growing number of non-teaching responsibilities. He said he thought teachers are weighted down by state-imposed chores and wanted to find out if it’s true. The Center for Teaching and Learning is trying to get an answer. In September, its researchers began collecting information from 5,000 elementary and secondary school teachers from 159 school districts. Teachers, who hail from small, medium and large schools, are completing online surveys. Some also are logging in their hour-by-hour teaching and non-teaching related duties one week each month. In the survey, teachers are answering questions about the amount of each day which is devoted to classroom planning or assessment, interaction with students and parents, preparation for standardized state exams, professional development and duties assigned by the school or district. The final report is due to lawmakers June 30. The university received $25,000 in the state budget to cover the study.